A bill pending at the Legislature could provide millions of dollars in consistent revenue for affordable housing across the state. But opponents say the change would shift the cost of collecting sales tax to retailers. Millions of dollars could be made available to build affordable housing across Colorado, including Montezuma and La Plata counties, with a bill making its way through the state Legislature. House Bill 1245 could provide $50 million annually for affordable housing starting in 2021, without raising taxes. The new revenue would be generated by changing the amount of money retail businesses are allowed to hold back to cover the administrative costs of paying taxes. “I think it would make a night-and-day difference, in terms of the resources the state would be committing to tackle the affordable housing problem that we have,” said state Rep. Mike Weissman, D-Aurora. In the past, affordable housing projects in Colorado have relied, in part, on inconsistent funding from the state’s general fund or marijuana tax dollars. Consistent funding is key to helping address the affordable housing shortage in Colorado, and the possible investment could help make a dent in the state’s needs, said Elizabeth Salkind with Housing Solutions for the Southwest, a nonprofit that serves La Plata and Montezuma counties. “Housing is expensive, that’s the bottom line,” she said. 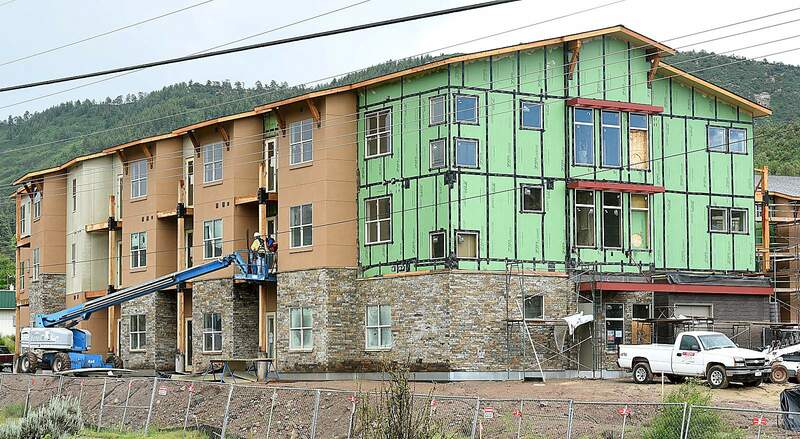 La Plata County needs almost 2,000 more affordable housing units based on data from 2011 through 2015, compiled by the Colorado Division of Housing. Montezuma County needs 737 more affordable units, according to the division. Across the state, more than 111,000 units are needed for extremely low-income families, according a news release about the bill. The bill directs the Division of Housing to spend a third of the new revenue on housing for the poorest families across the state, defined as those making 30 percent or less of the area median income. Otherwise, the Division of Housing would have discretion over how the new money is allocated to meet needs across the state, according to bill. “I didn’t want to be too prescriptive,” Weissman said. Most of the funding for the affordable housing bill would come from the largest businesses in the state. Businesses are currently allowed to hold back 3.33% of sales taxes they collect to pay for the administration required to collect and pay sales taxes. The bill would increase the amount businesses could hold back to 4%. But it would introduce a new $1,000 cap. Large retailers would no longer be able to hold back thousands of dollars to cover administrative costs, and that would generate new revenue. Opponents say the bill would hurt retailers that have to cover the cost of collecting sales taxes in Colorado. Colorado Retail Council President Chris Howes said Colorado has 268 different sales taxing districts that large retailers must navigate, and they must pay for accountants and software to manage the collection of taxes. “One thousand dollars a month is not very much for the largest companies in Colorado with hundreds of locations,” he said. Weissman said the bill has broad support and a good chance at passing this session. But if it doesn’t, he will introduce it again, he said. “We desperately need to address affordable housing,” he said. Do you support raising money to pay for affordable housing statewide by changing the amount of money retail businesses can hold back to cover the administrative costs of paying taxes?